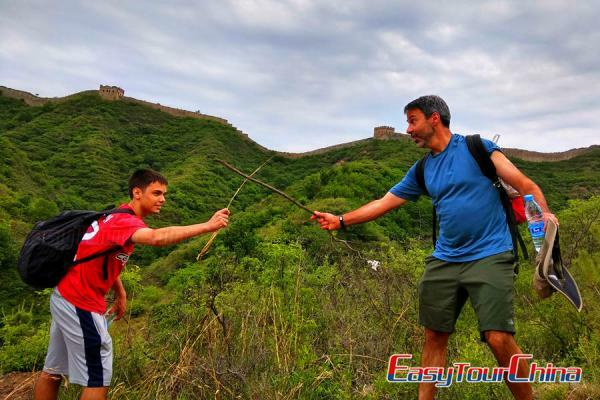 The well-designed Beijing trip is best for tourists at all age – especially for senior - to witness the former greatness of Beijing at a relaxing pace. 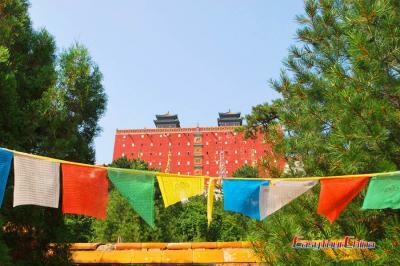 The whole trip presents all typical historical sites, including the Forbidden City, the Great Wall and Hutongs. After breakfast in hotel, you will be picked up from hotel and go to visit the Tian'anmen Square, the largest city square in the world. You will have chance to visit the Memorial Hall of Chairman Mao. The Forbidden City, the largest imperial palace in China for 24 emperors' reign during the Ming and Qing dynasties with a history of around 600 years, is to the north of the square with Chang’an Street in between. 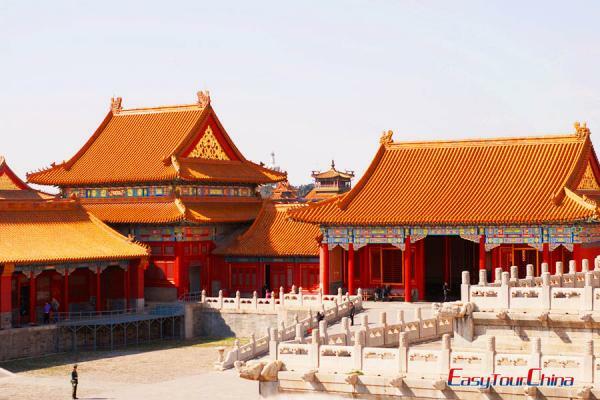 Take around 2 hours to visit the palace, including the main halls, a part of the wall, residence for concubines, gardens, etc. After lunch in local restaurant, transfer to Houhai and enjoy the leisure time at Houhai Lake Bar Street. 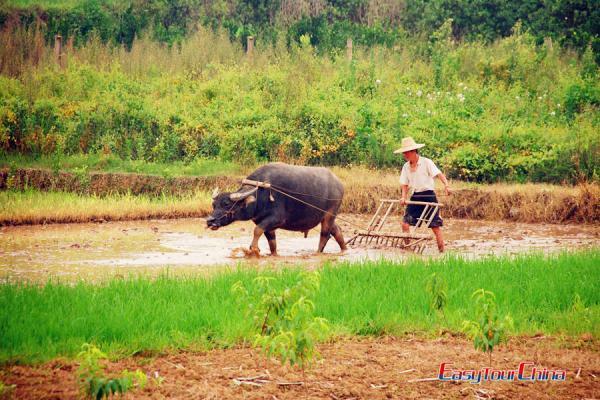 You can also choose to take a short rickshaw riding in the Hutongs. Transfer back to the hotel later. Pick up from hotel and drive 1.5 hours to the Great Wall at Mutianyu. 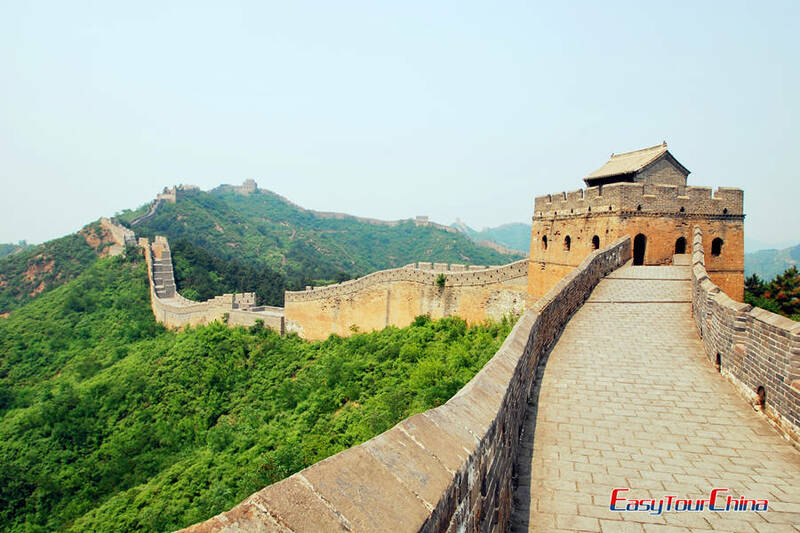 This section is less visited than other parts like Badaling and Juyongguan. You will take cable car up to the Wall and walk to visit the towers and walls. Descend by cable car and lunch will be served at School House Restaurant. After visiting the small village at the foot of Mutianyu Great Wall, transfer back to hotel for some rest. Then be escorted to enjoy a Kung Fu Show. This morning, you will go to visit the Temple of Heaven, a masterpiece of architecture and landscape design where the ancient emperors used to pray for the God's bless of the whole nation. It is also a park many local people go for different activities like Taichi, dancing, playing chess, etc. And then, continue to Panjiayuan Antique Market, the place to go for life-size terracotta warriors, vintage photographs, porcelain vases and figurines, Qing-style furniture and much, much more. The best bargains are offered early on weekend mornings, between 6 and 8.30am. Best on weekends, 4.30am-6pm (but open on weekdays as well). 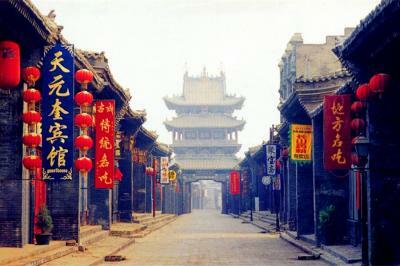 Pingyao: the best-preserved ancient town in China and UNESCO World Cultural Heritage Site. 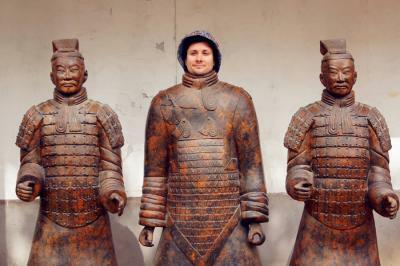 Add 2-3 days to explore the must-sees of Pingyao Ancient City. Chengde: Add 2 more days to visit the Chengde Mountain Resort (the imperial summer palace of Qing Dynasty emperors) and Putuo Zongcheng Temple (known as the Little Potala Palace). Round-trip cable car of Mutianyu Great Wall.